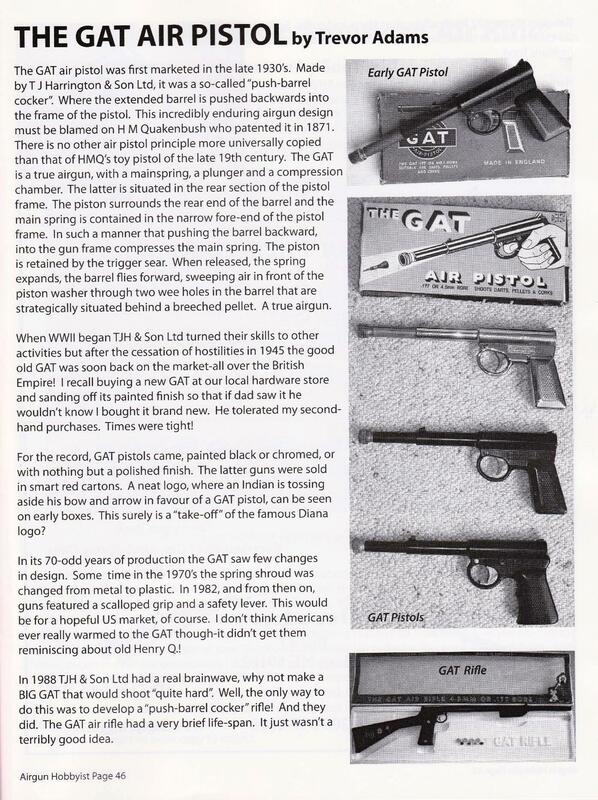 "The Gat became intrinsically linked with my amazingly happy childhood." An early GAT from John Atkins' collection. 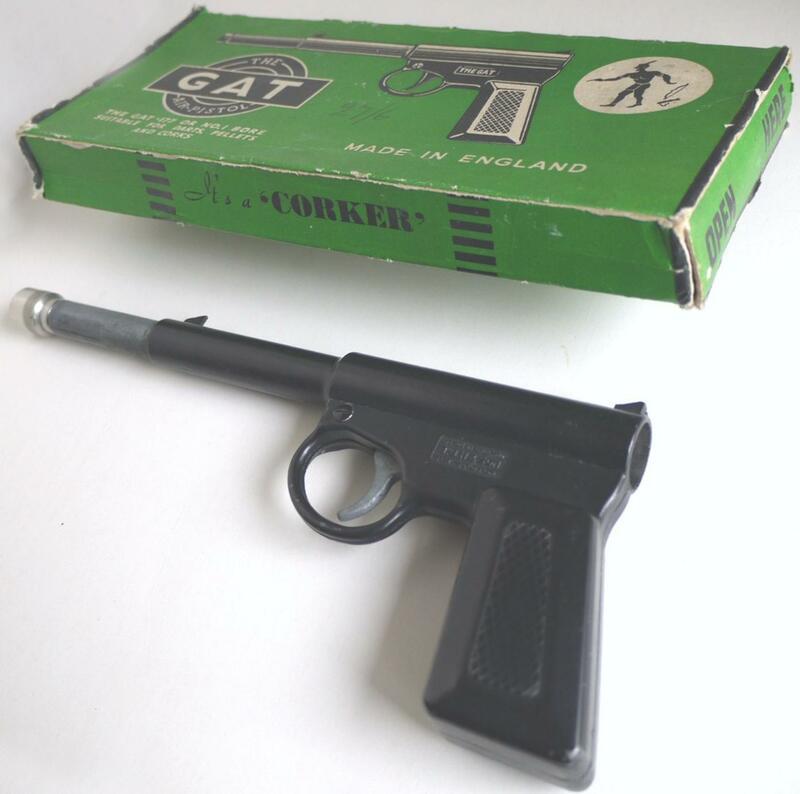 Note first style cork adapter and "Pat.App.For",on gun.The pistol pictured on the box isn't a cork shooter. The enlarged bit at the muzzle allows corks to be fired. 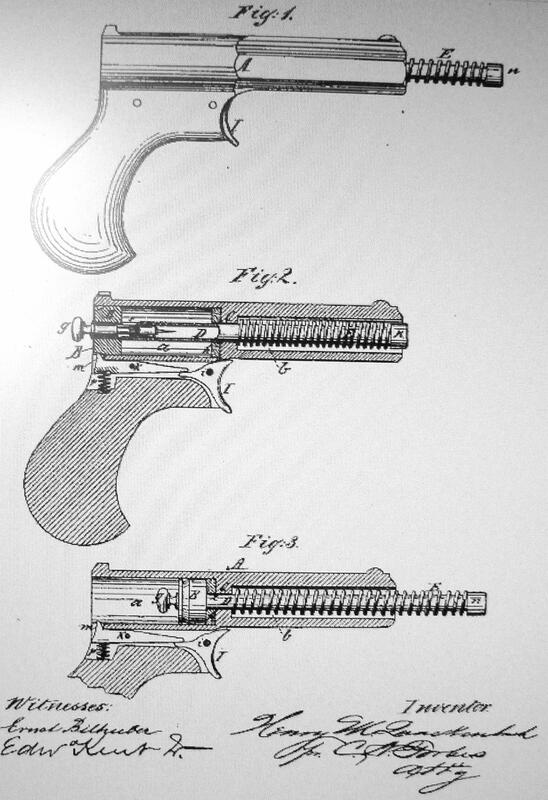 The GAT cocked.The plug at the rear of the action is removed so a slug can be loaded. The polished "Export" GAT of the 1970's was sold in a smart red box.It seems all more recent GAT boxes had "Export Model" printed on the back. A fly swat was a useful accessory! The "DING DONG", complete with "GEE STRING"-a repeating slingshot to be reckoned with! Interesting Harrington product from the 1950s. Strong die cast frame will take a fall from a 100 ft. cliff and survive. 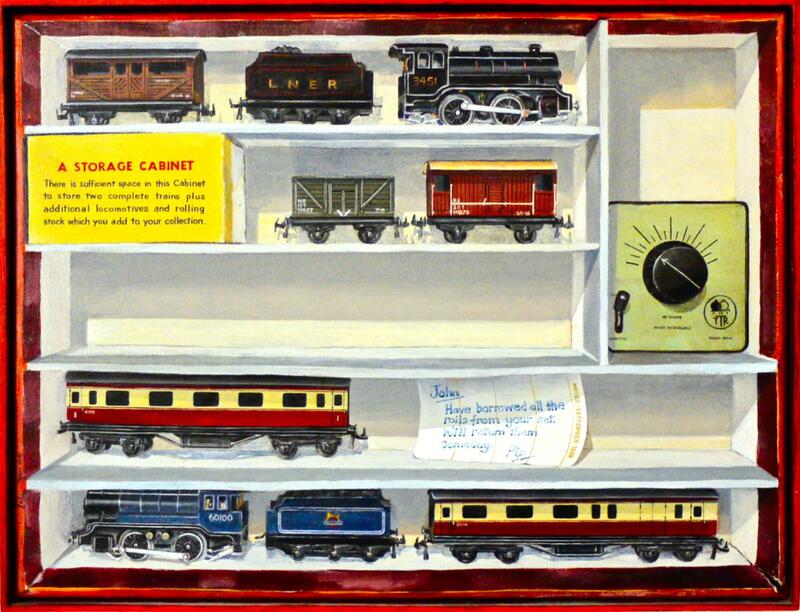 Choice of chrome plate or cheaper black paint in its earlier days. Some training value for youngsters, Sufficient power and accuracy for pllnking. 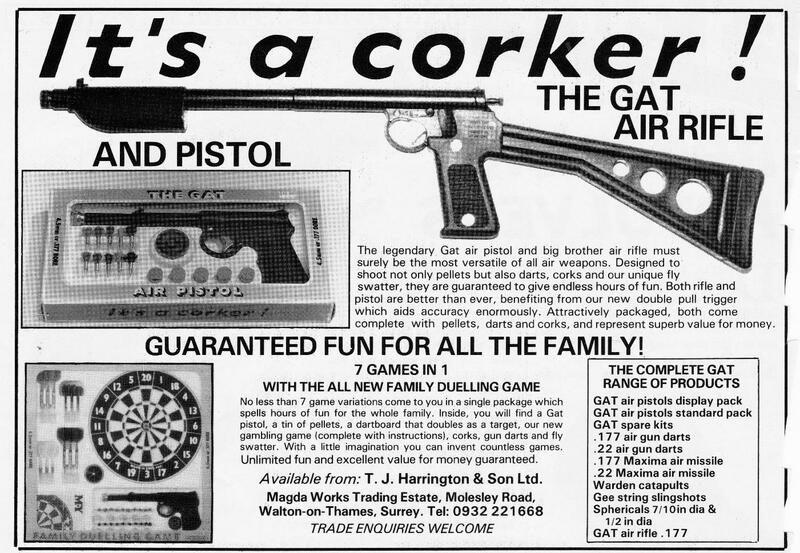 Great garden fun gun, the Harrington Gat became intrinsically linked with my amazingly happy childhood. There were no bad points about the Gat considering the low price. Of course, accuracy suffered due to the push-in barrel popping out on discharge but that was half the fun.Although a true air pistol, the inertia of the moving barrel probably added a fraction to the power. 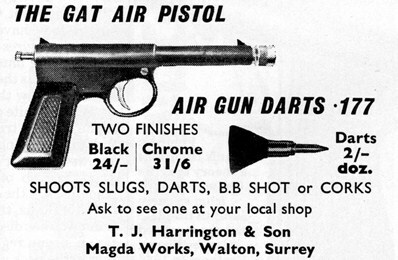 Harrington,The GAT is a brilliant push-in barrel British air pistol which started the air gun shooting hobby off for me and thousands of others. 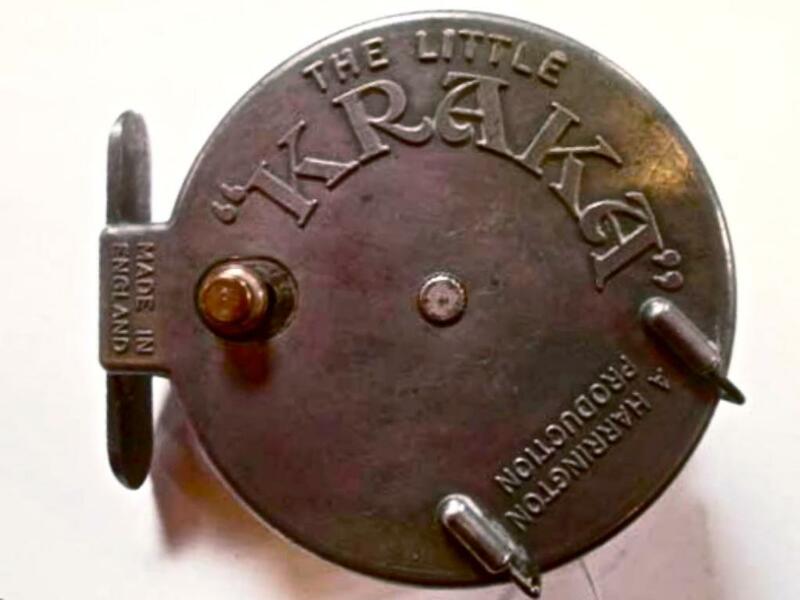 Great for indoor cork firing and outdoor shooting of slugs and darts. The first airgun of thousands of present airgun owners. 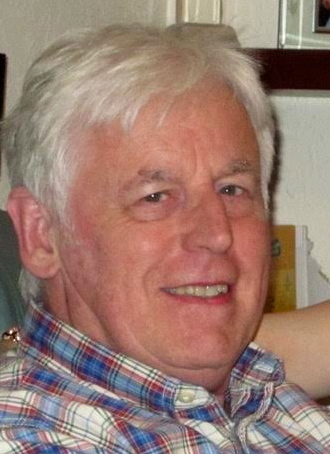 What a shame production ceased after the death of Mr. Harrington. 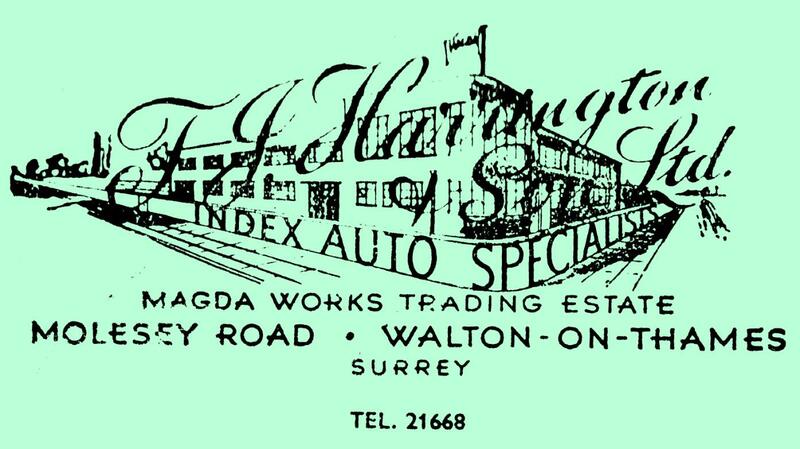 the owner of the Magda Works, Walton, Surrey where it was made. 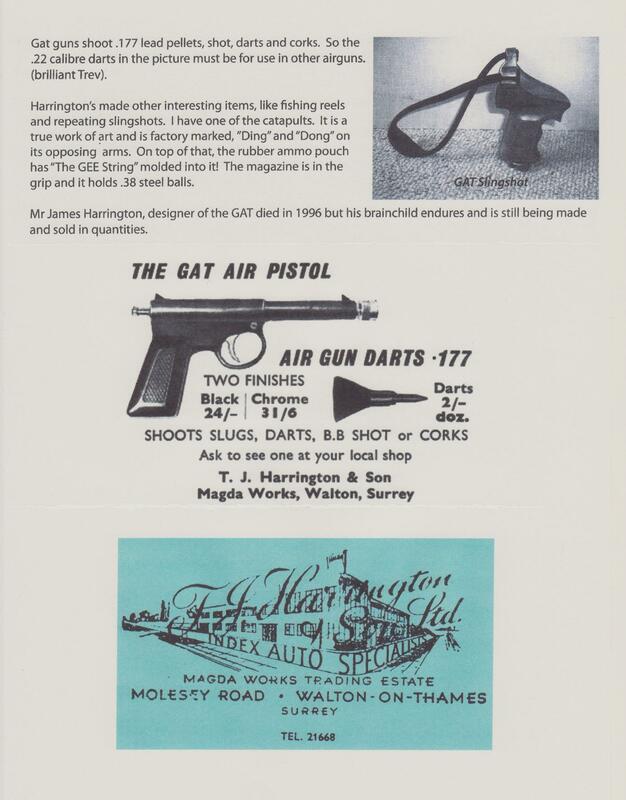 See 'Air Gunner' magazine: 'James Harrington -The Great Gats by'in September, 1996. 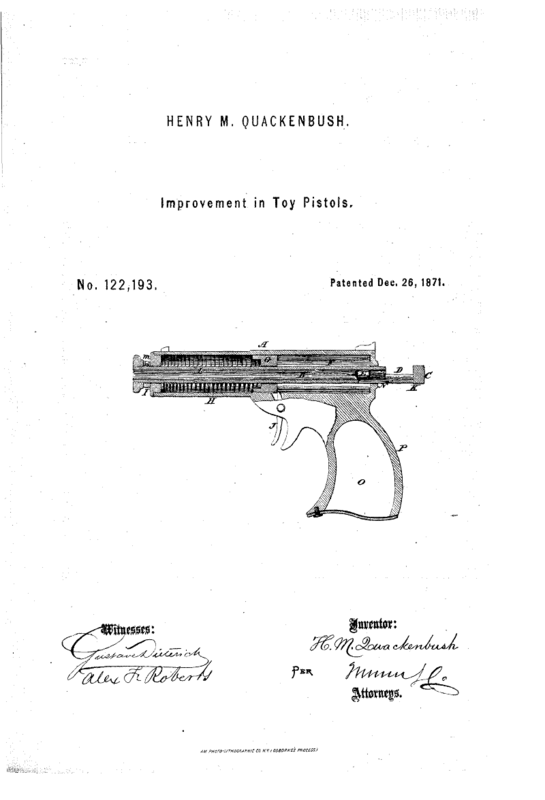 A GAT-type Air Pistol as a murder weapon! "That's a nasty bit of machinery", said Chief Supt.Andy Dalziel-as he eyed the Gat-like air pistol with it's six inch, steel, pop-out barrel! At the end of this episode the whole GAT -thing is put down as an accident...it seems!